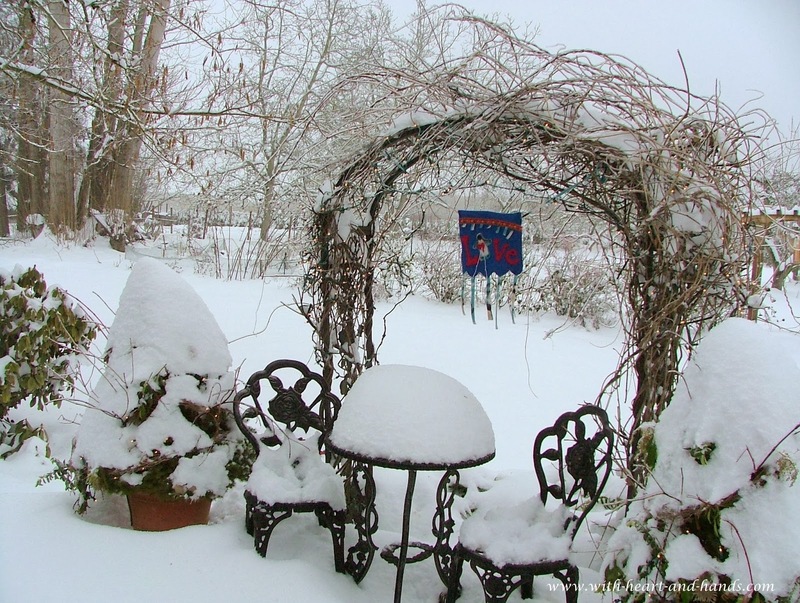 Oregon is facing the challenges of a huge snowstorm. We live down a long, long country road driveway and we haven't been able to leave the house since Friday. And on Thursday, I learned that my brother Doug, of Eagle River, Alaska was put on a ventilator and into a medially induced coma. This is the second time in just 2 years that my brother has been rushed by paramedics to Providence Hospital in Anchorage unable to breathe from severe cases of pneumonia. What is a worried sister, whose heart is filled to bursting with love and prayers to do? I could go crazy with worry or I could do all that I know how to do to send my prayers, and postive thoughts across the miles. And for me, staying positive means staying very, very busy. So what did I do? 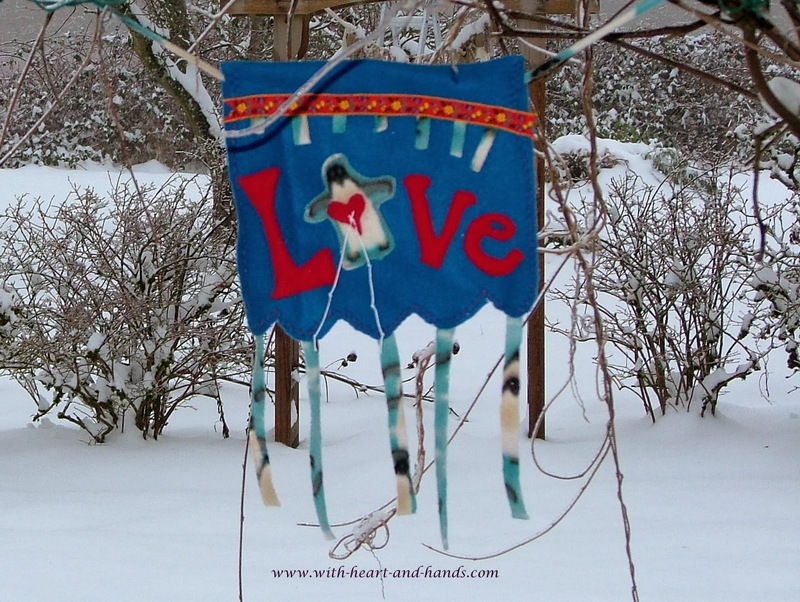 I made another prayer flag and hung it outside in the polar freeze, of course. In 2012, I followed him through 3 states and 4 hospitals and we got an amazing miracle of miracles back then. He lived when doctors said he wouldn't and he came back to us, bit by bit over the next 6 months. We had to use a medical transport jet back in 2012 and medevac him down to Harborview Hospital in Seattle, where I lived in a hotel for a full week, walking up to 32 blocks a day (I got lost a lot!) to visit him and his wife Becky, who had fallen her very first day there to see Doug, and broke her pelvis, and had to be hospitalized there, as well. Becky, besides having osteoporosis, also suffers from severe kidney failure and needs dialysis three times a week for four hours at a time. Bit by bit, amazing miracles happened..ones that all dozens and dozens of his doctors just shook their heads in disbelief and some even acknowledged that yes, miracles do happen. But the MRSA pneumonia scarred his lungs and now he has his 3rd repeat of an attack the underlying weakened immune system, and has developed a propensity towards pneumonia. So, here we are once again. Facing another heart rending and most challenging place with him on a ventilator and in a medically induced coma......all over again. This time, I am snowed in with few flights going out of Portland, and our other brothers all in crisis with their own wives. Doug's wife is in end stage kidney failure as of 2010, desperately staying alive with dialysis, three times a week in Anchorage. 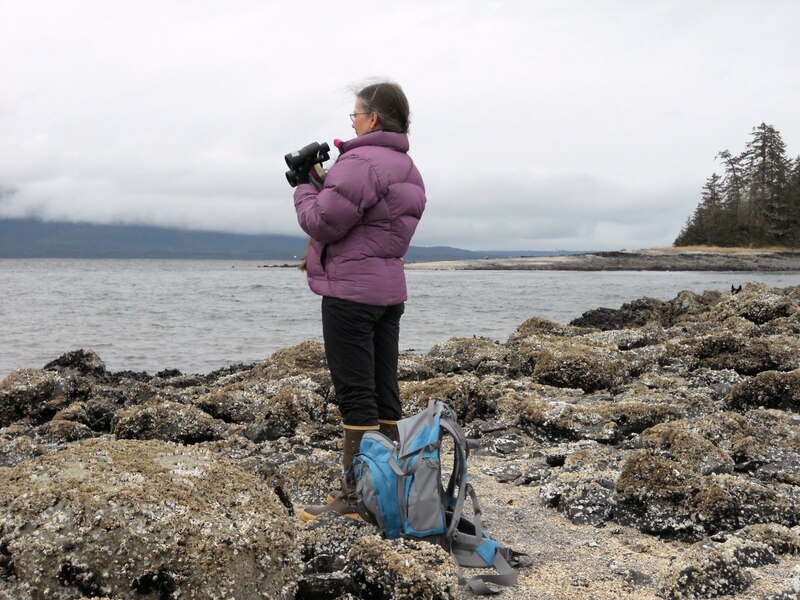 My youngest SIL was diagnosed with Stage 4 Small Cell Carcinoma (lung cancer) in late October and has now had 4 rounds of Chemo where they fly from Juneau to Seattle every 3 weeks. Her next treatment will be February 20th. My other SIL just had foot surgery and her husband is caring for her as she cannot walk on it for 6 more weeks. And my only other brother, with a fairly healthy wife is in Seattle at a conference..also snowed in. And yes, we just keep coping and dealing and doing what we need to do for ourselves and in my case, everyone else. And I deal by keeping as busy as I possibly can and creating openings for prayers and miracles to flow through. And one of those ways is by making and flying prayer flags and all of their heartfelt wishes across the miles. With just a few scraps of polar fleece leftover from my project of making fleece neck warmers, I made this little prayer flag filled with love! Now, we might not have penguins in either Oregon or Alaska, unless you count our zoo's, but he is on my flag with his February Valentine and lots of love for my brother, Doug, my sister-in-law, Becky and all of their family and ours. Big, big hug and lots and lots of love across the frozen miles! Please take a moment and send positive and healing thoughts to my brother, as well. Thank you. Previous Link Ups to My Brother's Story of Many Miracles...Please let there be another one!!! You are so brave and continue to move forward always. Such an inspiration. You are all in my prayers and I too believe in miracles. May you all receive the love and support that each of you needs to stay connected. Big hugs are being sent too. 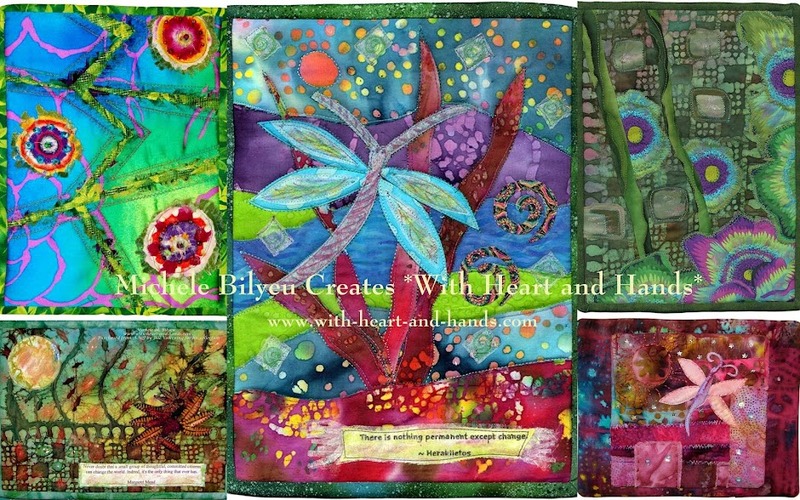 I love your prayer flag and so appreciated the one you sent to my mother. Prayers to all of you. I haven't seen anything on your SIL status for a while and didn't know that she was still waiting for a kidney. Snow is definitely complicating your life. Hoping for a break in the weather. Blessings and prayers for your family, especially Doug. 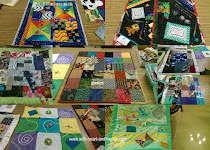 I commented on the Prayer Flag blog wishing Doug well and conjuring many thoughtful prayers for him. I am also praying for you though this difficult time especially since you are forced to be far apart, but not in heart. A thought is a prayer. Sending lots of love and positive energy your way and to your brother in particular. Miracles can and do happen. I am a Portlander and have been snowbound since Thursday but I was just out shoveling snow for something to do and it's like a giant slushy with a top and bottom layer of ice. We are almost out of the storm. Here's hoping your personal storm will pass as well. Hang in there. As someone once said, I have a 100% success rate on making it through the crisis I have had in life. It's not easy, hang in there.